NPS stacking school chair offers a long-lasting plastic seat and steel frame. Sturdy 4-leg base. Stacks for storing convenience. Available in multiple colors. 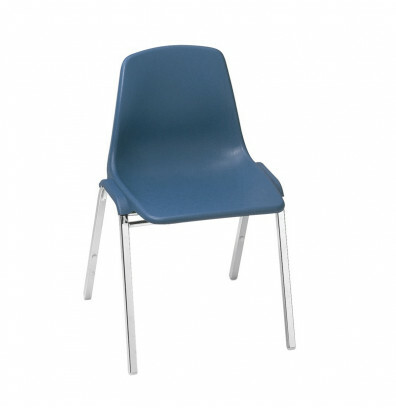 National Public Seating 8100 Series 18" seat height school chair features a one piece high-density polypropylene plastic seat. Chrome plated steel frame with 3 cross braces for added support. Shell and frame shields protect against snags and pinching. Sturdy 4-leg base. Stacks up to 12 high for storing convenience. Weight capacity up to 300 lbs. Available in multiple colors.